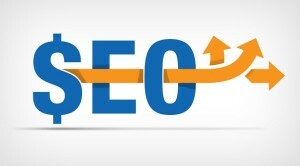 Home/SEO/Are you sure you’re not unknowingly hurting your e-commerce website’s SEO rankings? One of the most necessary customer generating channels is definitely organic search. We can’t deny the fact that SEO can bring around 10-60% of the traffic of your overall website. Hence, it goes without mentioning that one should try his best to avoid any of the possible SEO pitfalls for your e-commerce website. Amidst the tough competition among e-commerce websites, those that lose on their search engine rankings have the risk of being thrown away from the business. If you have an e-commerce website of your own, you should not allow this to happen to you. There are few accidental steps that you may take and that may hurt your search engine rankings. What are they? Let’s take a look at some of them. When you launch a new website or when you switch your website to a new platform, this can be the most common reason behind your plummeting SEO ranking. The new version that you design might not be as SEO-friendly as the previous one or you might have deleted important pages or changed URL without redirecting while switching from one platform to another. Due to this, Google may not find the new content and those pages which had been already ranked and indexed by Google. An appropriate 301 redirect map, crawling of the site, audit of meta-descriptions and titles are few of the steps that you can take while changing platforms. There are many merchants who keep optimizing their navigation bars for the convenience of their customers. They eliminate few categories, again re-categorize them and merge them again. This habit gradually becomes a problem with the SEO as the URLs on the navigation bar share the link authority of links which point to your homepage. The majority of your links are all there at the home page and hence when you remove them from the navigation bar, it consequentially hurts your search engine rankings. When you totally erase a category or combine it with another, the same will also be eliminated from Google’s index. As already said above, if you begin to delete content like blogs, products or the body of the content, you increase the risk of Google deindexing those pages. In case you delete some content, you should never forget to 301 redirect those URLs to some other relevant page. This way the page can occupy the rank for other keyword phrases. If you fail to do the above mentioned thing, it will show as a 404 page. Google will never rank a 404 page and this in turn will waste links and hurt the profile of your backlink. Another good way in which you can lose your organic search rankings is by not keeping in mind SEO and link building. You must be aware of the fact that links are the second most vital factor for ranking after content. Hence, if you don’t optimize them in a perfect way, it will probably decrease the rankings. E-commerce sites have also entered the perpetual rat race of getting way more links than they use. So they should also pay attention to this. Therefore, if you’re wondering about the different ways in which you can unknowingly hurt your search engine rankings, you can take into account the above mentioned mistakes. Avoid them as much as possible if you don’t want your search engine rankings to suddenly fall beyond your expectations.